Howard Marks, the former drug smuggler turned bestselling author and campaigner, died over the weekend, at the age of 70, after battling bowel cancer for a little over a year. For those unfamiliar with the man and his work, Marks made an indelible impression on popular culture in the mid 1990s when after serving seven of a 25 year jail sentence at the infamous Terre Haute penitentiary in Indiana, USA, he penned his autobiography, Mr. Nice, a fast paced minutiae of his experiences as a cannabis smuggler and the various underworld figures and organisations he associated with along the way. His detailed exploits were then transferred to the big screen in a 2010 film adaptation starring Rhys Ifans in the title role. It was a life that seemed a far cry from his upbringing in Bridgend, Wales. Born Dennis Howard Marks in 1945, the son of a merchant navy captain and a school teacher, he attended Oxford University, studying physics, and despite every indication that he was destined for a life of academia, he reportedly began dabbling in cannabis use and latterly distribution, the bulk of his clients being his classmates. Marks soon established an international drug smuggling network and made sizable profits from a client base that spanned the globe until his incarceration in 1988. But while inside, he made a positive impression on his jailors and in January 1995 was granted parole after a prison officer had testified that he was a “model prisoner” who spent much of his time helping his fellow prisoners pass their G.E.D. exams. His literary musings also tapped into something in the British cultural psyche in the 1990s. The Super Furry Animals famously released a track entitled ‘Hangin’ with Howard Marks’, and Loaded magazine rewarded him with a monthly column and he entertained hundreds of readers with his tales of ‘going straight’. Many of those inspired by his story, including Trainspotting author Irvine Welsh and former loaded magazine editor James Brown, took to twitter to pay tribute to the late author. Marks was also an advocate for the legalisation of cannabis, so much so that on this single issue, he stood for election in the UK parliament in 1997. He gave countless public speeches on the matter and toured a hugely successful one man show. Last year came the shattering news of his cancer diagnosis, but in quotes attributed to the Observer, he was philosophical about his fate. I’ve come to terms with it in my own way – which for me was about learning how to cry, Marks told the newspaper. Marks leaves behind a wife, Judy, and four grown children, Amber, Patrick, Francesca and Myfanwy. 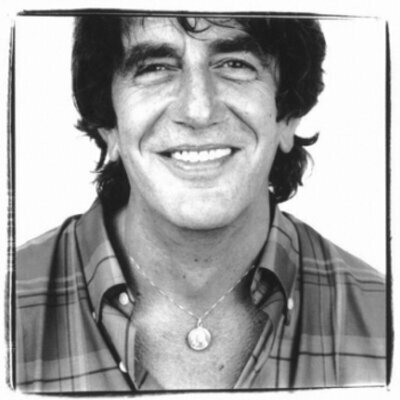 Mr. Nice is still widely available in paperback, along with his other work, Howard Marks: the big book of dope stories & Mr. Smiley, the last pill and testament.